Hey there, adventurers! My name is Ben and I’m responsible for the animation of the Flail Snail mount. When I first heard we were going to be making a snail, I assumed it was a small task to knock out so I could get on with something more impressive. Then I was told, “Oh by the way, it’s going to be a mount. One of the fastest in the game.” My head was like a Michael Bay movie condensed into 15 seconds: explosions everywhere! I had so many questions to ask about how we were going to pull this off convincingly and, of course, I was the one responsible for answering my own questions. Snail. Mount. Superfast. Flail. This was all the info I had. Nonetheless, I was pretty excited about how irregular this mount was and about the challenges I had the opportunity to solve on my own. When I’m animating a mount, I begin by looking at the character. What does it look like? What features of anatomy does it have that I might able to leverage in building its persona? And from those features, how best can I represent its movement? What real world counterpart can I steal from to help me? What does existing D&D lore tell us about it? Among the many questions I had there was one question that stood out as being the mountain top in the distance, how do make a snail jump? As you can imagine, I didn’t glean too much from the “anatomy,” what with being a snail and all, so I had to think about what might enable a snail to go so fast: slime. Snail. Mount. Superfast. Flail. And now slime. I didn’t come up with slime right away, though in retrospect it seems obvious. It took a few days of playing with the rig of the character, and finding an avenue, a theme, that I could string through all of its animation as a key feature of its existence or persona. But when I did, the options seemed to make themselves known. So I concluded that the snail must excrete a slick super fluid from its belly to slide on as it traverses the landscape. In this way, I changed how the snail interacted with its environment, and I used that as the basis for as many other animations as I thought I could get away with. We had great detail in the mesh for the Flail Snail that I tried to capitalize on. For instance, the Snail has little fleshy lumps on the bottom edge of its belly, and we rigged those little bits so that I could make those lumps move as it runs. The Flails were also an opportunity to inject as much character as possible. And, predictably, I made them flail. In general we take this approach with each mount we develop. The results of the Flail Snail highlight this process well. And finally, we find ourselves staring up at the peak of a mountain, the peak of Mount Snail Jump (see what I did there?). From day one, I stewed about this, mulled it over and pondered how exactly might a snail jump, if a snail could jump. Does the exuding super fluid from his belly have enough surface tension as to create suction and pop off? Maybe jets of slime propel it up? Am I over thinking this? Probably. I previously animated the Gelatinous Cube to have insane amounts of suction as it jumped in the air, making it pop up and jiggle. On the jiggle scale of mounts in D&D, the Gelatinous Cube ranks at the top by a mile. For the Snail, I chose not to go “full jelly,” as I thought there was a bit more structure internally, but I didn’t think there was enough to sell the jump entirely. So I decided to add a little “tail” push to give some extra lift. The shell of the snail was fun to animate because it was a massive rigid body on top of a soft gooey snail. In a way it was a different character altogether, with a different personality and movements that I had to incorporate into every animation. 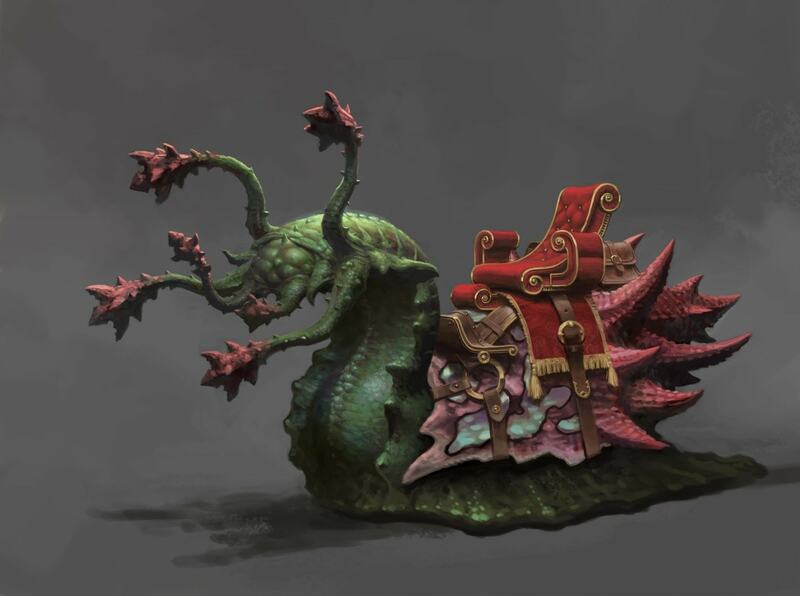 With so many challenges to overcome, and being surprised by the solutions in the end, the Flail Snail is my favorite mount in the game. I hope it’s yours too!